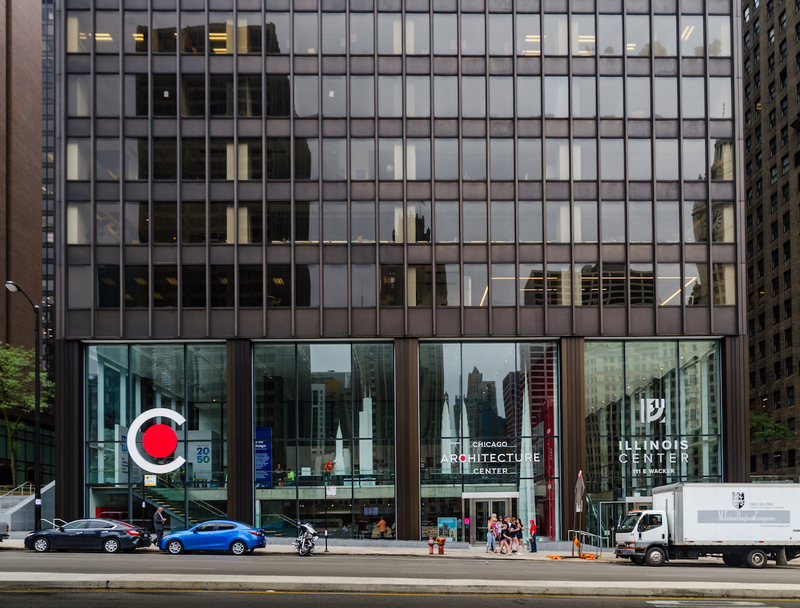 Chicago’s long-salient architecture non-profit, the Chicago Architecture Center, formerly the Chicago Architecture Foundation, has swapped out its old digs at the Railway Exchange Building for a high-visibility space just steps from the south end of Michigan Avenue. 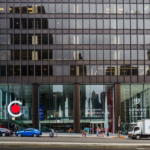 With the fresh location in Ludwig Mies van der Rohe’s 111 East Wacker Drive, the Center’s new home sits just ashore of where the world-famous architecture boat tour has launched since 1983. 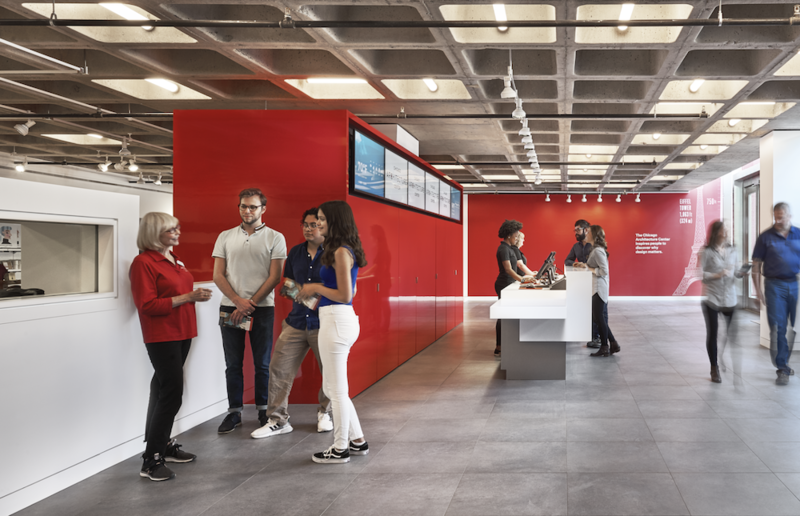 Designed by Adrian Smith + Gordon Gill Architecture with exhibit designer Gallagher & Associates, the Center’s spaces are designed to expand and contract with current and future exhibits, but also across Chicago’s long and continued dialogue with architecture and design. 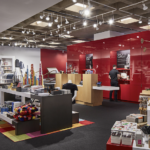 The Chicago Gallery is located inside a cavernous interior space, with a newly expanded model of the city, which has grown from 1,300 to 4,500 3-D-printed resin buildings and now includes subtle topographic features and neighborhoods as far south as Cermak Road and as far west as Sangamon Street. 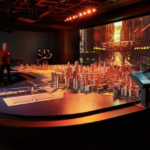 Interactive touch screens are positioned around the model, where visitors can search for buildings by architect or style, view data about changing land use, or explore the “10 Buildings You Should Know” feature. A film playing at intervals behind the model provides a dramatic narrative of the city’s built history and is heavy on neighborhood content. 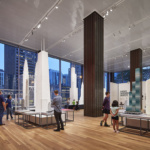 This emphasis on everyday architecture continues across the rest of the Chicago Gallery, where Chicago’s vernacular architecture gets some significant airtime along with familiar names like Wright, Sullivan, and Burnham. 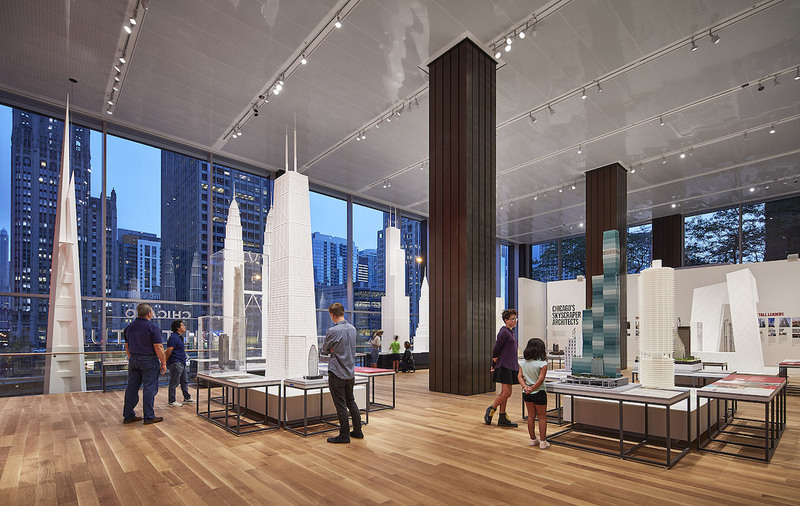 Exhibitions continue upstairs, where the Skyscraper Gallery riffs on the Chicago invention and studies its international forms. 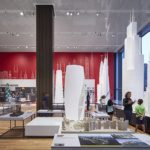 The Building Tall exhibit features 23 skyscraper models at the scale of 1:91, including a composition of five models of buildings all of which were, at one time, the tallest in the world. 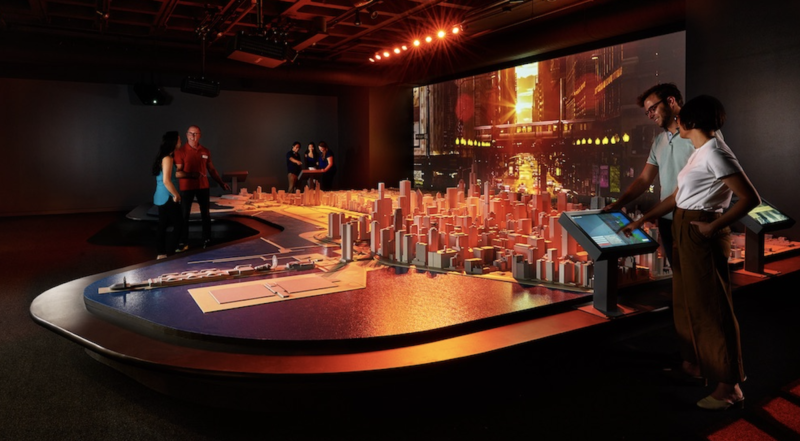 These models are offset by a 40-foot-tall wall of glass where one can get up close and personal with some of Chicago’s most iconic and notorious buildings, including the Wrigley Building, Trump Tower, and the new flagship Apple store across the river. 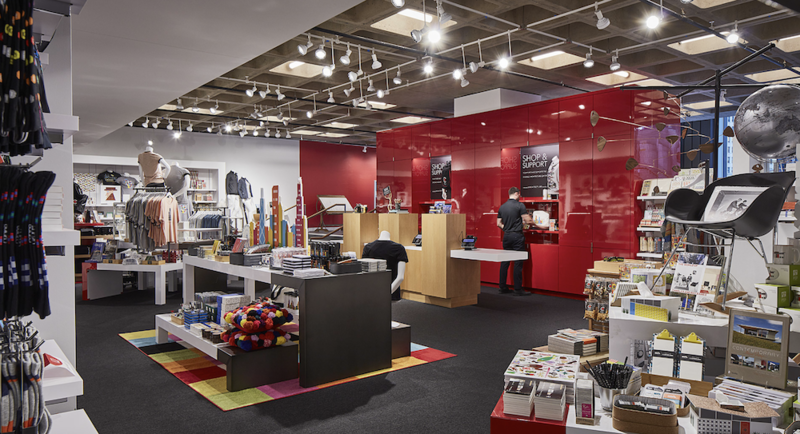 New exhibits at the Chicago Architecture Center draw from contemporary issues and reflect the profession’s desire to draw in a wider audience. All are heavy on technology, but here there is a marked absence of Instagrammability, even in the supersized models of the Skyscraper Gallery. Whether intentional or not, this emphasis on physical experience over social media photo ops feels freshly genuine in contrast to made-for-Instagram museums. 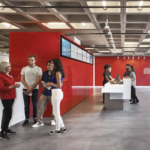 Exhibits are readable and tangible, but are also adaptable and future-forward, with enough variety in content to appeal both to visitors who know everything about architecture and those who know nothing at all. 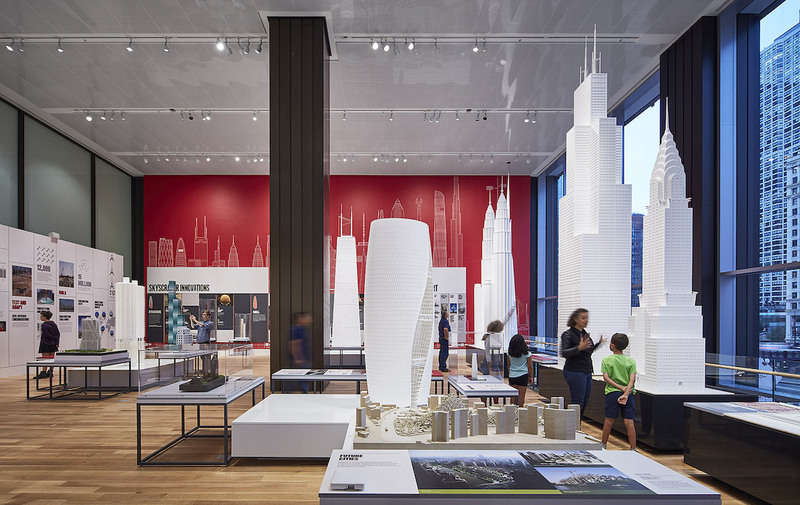 There is an emphasis on current and future projects, with not only Adrian Smith + Gordan Gill, but with other architects influencing the shape of Chicago to come, including Studio Gang and Goettsch Partners, as well as Skidmore, Owings & Merrill, whose design for 400 North Lake Shore Drive on the former Chicago Spire site when completed in 2023 will do more to change the skyline of Chicago than any other structure in fifty years.